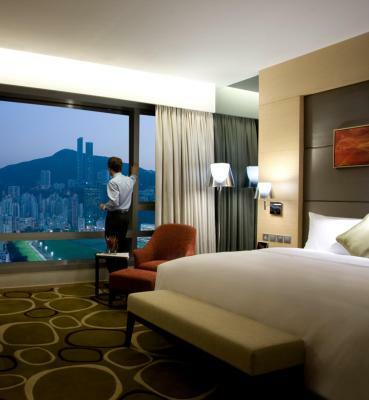 Lock in a great price for Crowne Plaza Hong Kong Causeway Bay – rated 8.5 by recent guests! It's clean and well-located. Big rooms (for HK). Decent breakfast. Breakfast selection was excellent, wide variety of Western and Asian options, something for everyone. 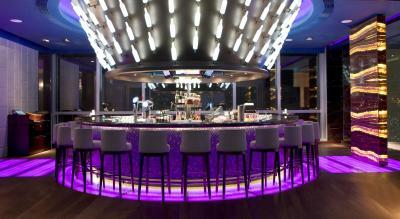 Club floor concept being in the lovely bar on 28th floor worked really well. Location of the hotel in middle of Causeway Bay was very convenient with close access to Times Square. I like the room. Indeed, it is beyond my expectation. The room is big and clean. Toilet is relatively larger than others at the same or higher price. The location of the hotel couldn’t have been better. It’s so accessible. It also offers a nice view of the busy city on one side and the quiet nature park on the other. 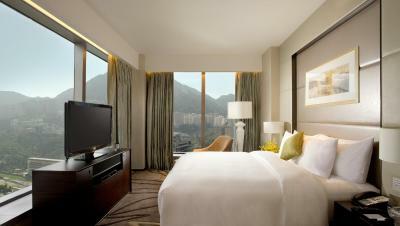 Spacious room, bigger than other HK hotels and very comfortable bed. Good location and nice rooftop bar. The front check in staff were very friendly and welcoming. Located in lively part of town, close to transport links, with great views over racecourse. Smart rooms, rooftop terrace bar with pool.and a decent (for a hotel) gym. Staff couldn't have been more friendly. Breakfast was one of the best; food from around the world. The photo of the property is not matched at all.....its really disappointing. The view from the room were completely blocked and its NOT value for money charged. Worst experience with Crowne Plaza. Breakfast buffet had many choices. It was scrumptious! Rooms are spacious and clean with huge bathroom. 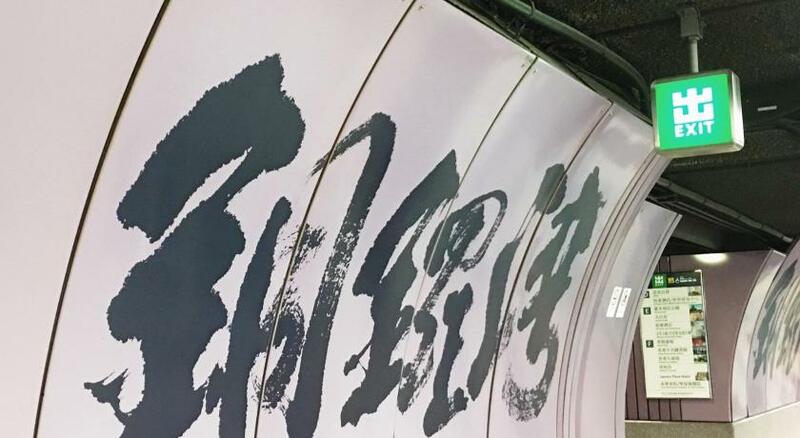 Location is near the MTR, just a few minutes walk. 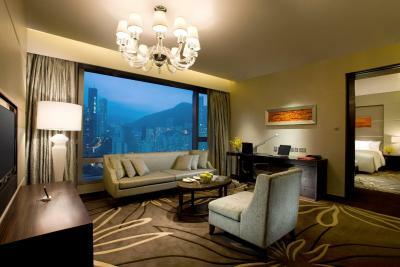 Crowne Plaza Hong Kong Causeway Bay This rating is a reflection of how the property compares to the industry standard when it comes to price, facilities and services available. It's based on a self-evaluation by the property. Use this rating to help choose your stay! 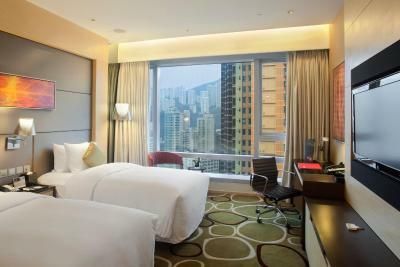 One of our top picks in Hong Kong.Crowne Plaza Hong Kong Causeway Bay is conveniently located a 5-minute walk from Times Square and Causeway Bay MTR. Sweeping city views can be enjoyed from the rooftop pool on 28th floor. Free Wi-Fi is provided. 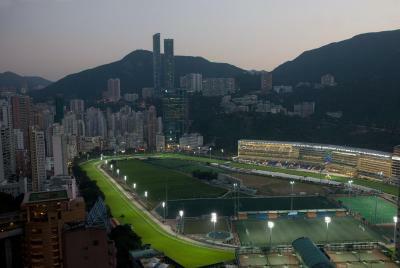 Crowne Plaza Hong Kong Causeway Bay is about 1,000 feet from Jockey Club's Happy Valley Racecourse. 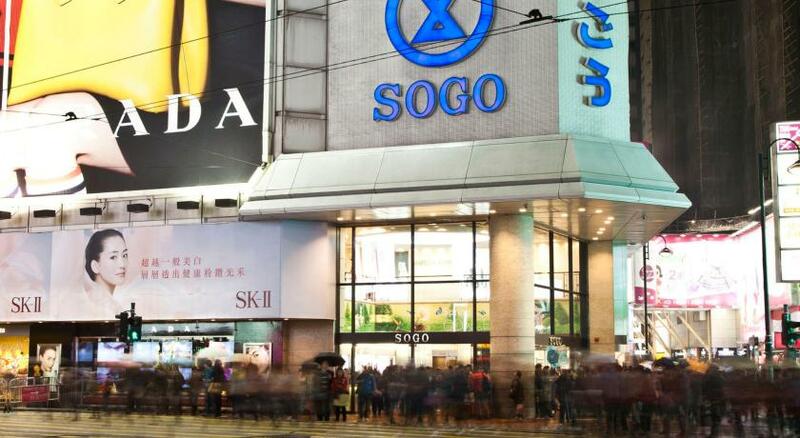 It is 10 minutes’ walk from Sogo department store and a 10-minute drive from Hong Kong Convention and Exhibition Center. Hong Kong International Airport can be reached in 45 minutes’ drive from the property. Boasting stunning city views from floor-to-ceiling windows, rooms feature a flat-screen TV, electric kettle and a spacious bathroom with a bathtub. Other in-room amenities include a safe and iron. Maintain regular workouts at Crowne Plaza Hong Kong Causeway Bay’s well-equipped fitness center. Meeting facilities are available for conferences and events. For convenience, staff can assist with business and travel needs. Kudos offers all-day dining with international dishes. Kappo prepares seasonal ingredients with Japanese-French cooking techniques, while Imperial Treasure serves fine chinese cuisine. After-meal drinks can be enjoyed at Club @28, located by the pool. 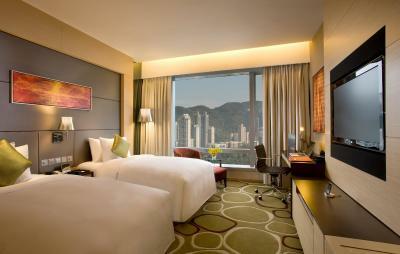 When would you like to stay at Crowne Plaza Hong Kong Causeway Bay? This nonsmoking room comes with Crowne Privilege benefits which include complimentary buffet breakfast, selected drinks and snacks for a maximum of 2 adults. The room is equipped with a 42-inch full HD TV and 5.1 surround sound DVD system, a spacious bathroom with a bathtub and individual shower cubicle with rain forest shower head. A pillow menu is available upon request to ensure every guest a quality sleep with us. 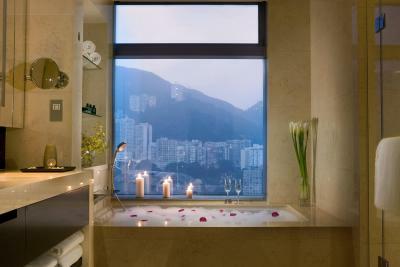 This room will also offer a jogging map to Jockey Club's Happy Valley Racecourse and Victoria Park. This 37-square-yard nonsmoking room is equipped with a 42-inch full HD TV and 5.1 surround sound DVD system, a spacious bathroom with a bathtub and individual shower cubicle with rain forest shower head. A pillow menu is available upon request to ensure every guest a quality sleep with us. For breakfast included rates, breakfast is for maximum 2 adults only. Additional charge applies for additional staying child or adult. This 34-square-yard nonsmoking room is equipped with a 42-inch full HD TV and 5.1 surround sound DVD system, a spacious bathroom with a bathtub and individual shower cubicle with rain-forest shower-head. A pillow menu is available upon request to ensure every guest a quality sleep with us. For breakfast included rates, breakfast is for maximum 2 adults only. Additional charge applies for additional staying child or adult. This 34-square-yard nonsmoking room is equipped with a 42-inch full HD TV and 5.1 surround sound DVD system, a spacious bathroom with a bathtub and individual shower cubicle with rain forest shower head. A pillow menu is available upon request to ensure every guest a quality sleep with us. For breakfast included rates, breakfast is for maximum 2 adults only. Additional charge applies for additional staying child or adult. This 34-square-yard room is equipped with a 42-inch full HD TV and 5.1 surround sound DVD system, a spacious bathroom with a bathtub and individual shower cubicle with rain forest shower head. A pillow menu is available upon request to ensure every guest a quality sleep with us. For breakfast included rates, breakfast is for maximum 2 adults only. Additional charge applies for additional staying child or adult. This 37-square-yard room is equipped with a 42-inch full HD TV and 5.1 surround sound DVD system, a spacious bathroom with a bathtub and individual shower cubicle with rain forest shower head. A pillow menu is available upon request to ensure every guest a quality sleep with us. For breakfast included rates, breakfast is for maximum 2 adults only. Additional charge applies for additional staying child or adult. This nonsmoking room overlooks magnificent Happy Valley Racecourse view. It is equipped with a 42-inch full HD TV and 5.1 surround sound DVD system, a spacious bathroom with a bathtub and individual shower cubicle with rain forest shower head. A pillow menu is available upon request to ensure every guest a quality sleep with us. For breakfast included rates, breakfast is for maximum 2 adults only. Additional charge applies for additional staying child or adult. This room comes with Crowne Privilege benefits which include complimentary buffet breakfast, selected drinks and snacks for a maximum of 2 adults. The room is equipped with a 42-inch full HD TV and 5.1 surround sound DVD system, a spacious bathroom with a bathtub and individual shower cubicle with rain forest shower-head. A pillow menu is available upon request to ensure every guest a quality sleep with us. This nonsmoking room is equipped with a 42-inch full HD TV and 5.1 surround sound DVD system, a spacious bathroom with a bathtub and individual shower cubicle with rain forest shower head. Room comes with a king bed and a single bed. A pillow menu is available upon request to ensure every guest a quality sleep with us. For breakfast included rates, breakfast is for maximum 2 adults only. Additional charge applies for additional staying child or adult. This twin room features a mini-bar, electric kettle and view. 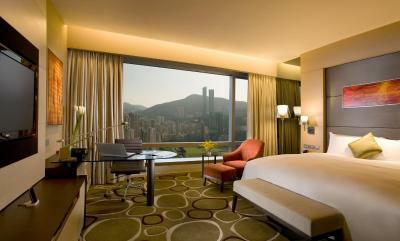 Crowne Plaza Hong Kong Causeway Bay is the perfect place for business or leisure travelers. 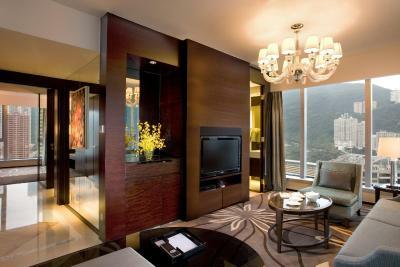 Nestled in Hong Kong’s famous commercial and shopping district, it provides easy access to key local attractions. Our 263 spacious guest rooms and suites are equipped with the latest hi-tech facilities and we are renowned for our excellent quality services. Guests can rest assured that they are enjoying the finest in spacious comfort. 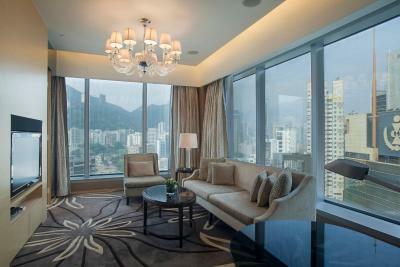 House Rules Crowne Plaza Hong Kong Causeway Bay takes special requests – add in the next step! One older child or adult is charged HKD 450 per person per night in an extra bed. Crowne Plaza Hong Kong Causeway Bay accepts these cards and reserves the right to temporarily hold an amount prior to arrival. - For breakfast included rates, breakfast is for maximum 2 adults only. Additional charge applies for additional staying child or adult. - Guests are required to present the same credit card used to guarantee the booking when checking in or making payment at the hotel. - Should you need to use a third party's credit card (Visa, Mastercard or JCB) for payment, please contact the property prior to your check-in date for arrangement. Contact details can be found in your booking confirmation letter. Stayed here a few times before. Always on a non smoking floor. First time tobacco smoke entered our room through the air conditioning system. It was awful. Also allowing smoking on the pool deck ruins the environment for anyone trying to enjoy the pool. Sitting in the bar/lounge area is also polluted. Each time the glass door to the outside opens the inside area is filled with smoking stench. Unhealthy and beyond unpleasant. Staff and location are the best. Nothing really. It is somehow quite an older hotel and the design is not the most stylish but we don't mind that at all because of all the 5-star quality service they provide. And the price is not the cheapest, as you may notice it is 5 star hotel. This is actually not the first time we stayed with the hotel and we love to keep coming back. We like everything about this hotel especially the comfort and the location that is just in the heart of Causeway Bay and places we usually go when we're in Hong Kong. The bed is so comfy you wouldn't want to get out of it and you could also choose pillows from many in The pillow menu. Though the room is not huge but it is spacious enough and has room for bigger luggages. 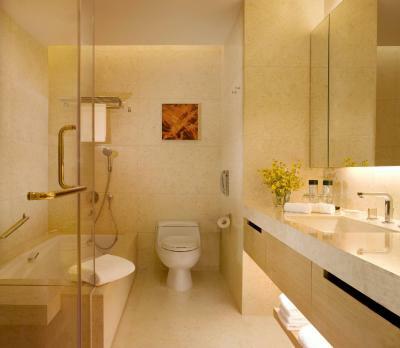 The bathroom has great facilities with big tub and exhilarating shower with seatings inside it. The room could be a bit brighter. Very friendly staff. Room was very spacious and comfortable. Location was very convenient to all the restaurants and shopping. A few more food choices for evening canapés in the Club lounge. Especially some more healthy options like salad etc. Put a sign where the elevator is located on each floor.. Liked the general Causeway Bay Area and views were good. Nice roof top bar and unfortunately did not get to use the pool!!! The gym, though located at the top floor with great view, only has limited choices of equipments. The swimming pool is outdoor, beside a bar, and is really not meant for serious exercise.